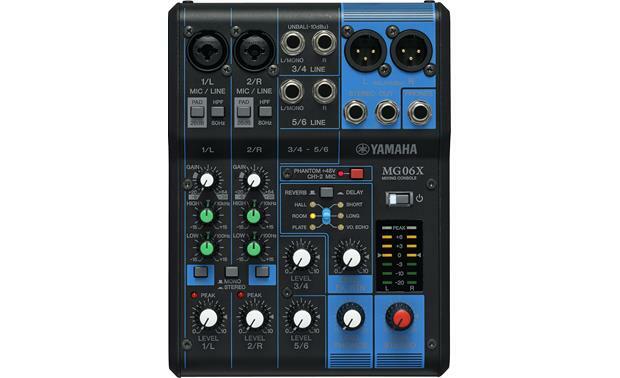 Yamaha used its extensive acoustical knowledge and engineering skills in offering you their MG06X mixer. 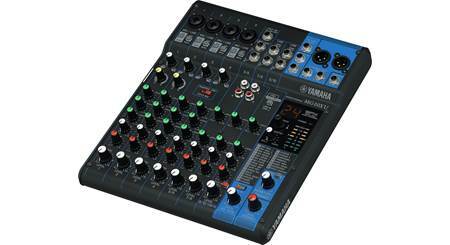 Yamaha used its extensive acoustical knowledge and engineering skills in offering you their MG06X mixer. This 6-channel mixer can bring order and balance to your sound, whether produced in school, church, home studio, or on the road. 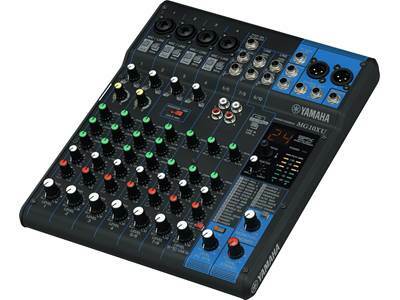 This small mixer is perfect for an auditorium public adress system that doesn't need a lot of microphone channels. The two microphone inputs feature Yamaha's D-PRE mic preamps, designed for their high-end recording consoles, which use a special Class A amplifier circuit to faithfully reproduce a microphone's signal without sacrificing warmth. 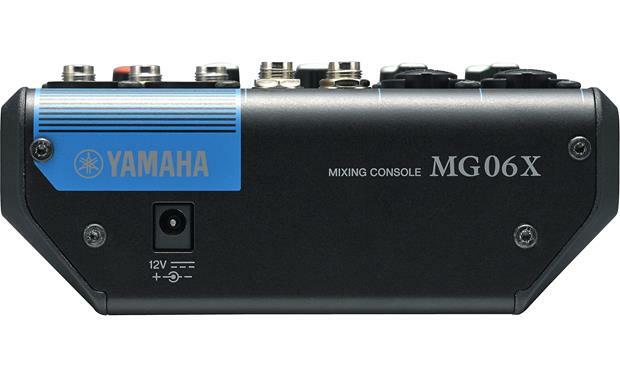 The MG06X also offers stereo line-level inputs that can accommodate unbalanced signals via 1/4" TS or RCA plugs. 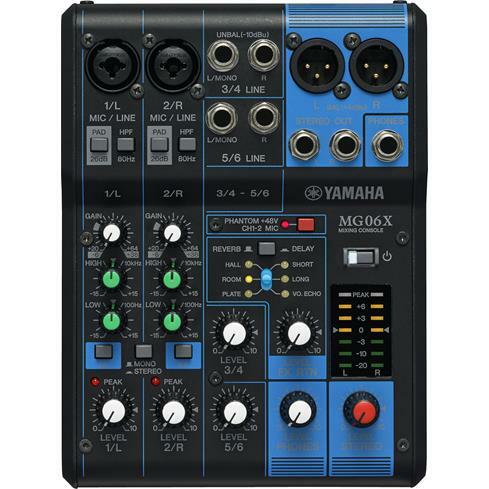 The MG06X includes Yamaha's SPX digital multi-effects processor that offers 6 different reverbs and delays that add atmosphere and spatial feeling to the mix. 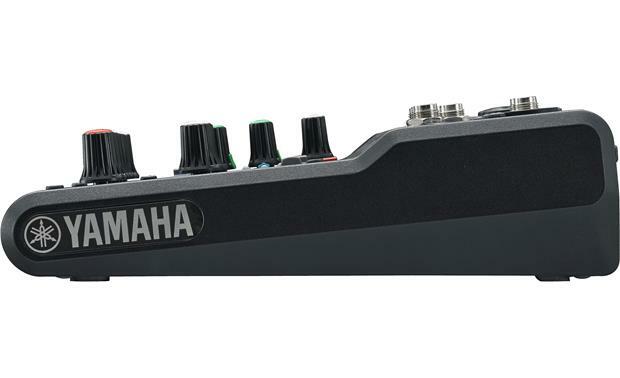 Effects: Built-in effects help you enhance your sound. You can select your Reverb (Hall/Room/Plate) or Delay (Short/long/Echo) type to add character to your music mix. You can then adjust the level of the effect. 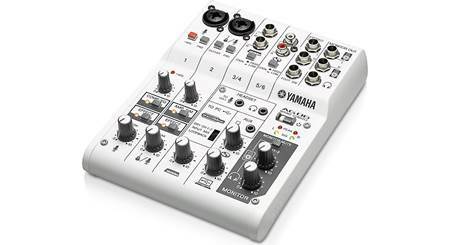 Searches related to the Yamaha MG06X 6-channel mixer — with onboard effects.